Spend the day discovering two unmissable sights near Paris: Giverny and the Palace of Versailles. Giverny, a village of timeless beauty that was once home to Claude Monet impressionism, is an iconic spot. Visit the famous gardens that inspired the artist, as well as his studio and home. 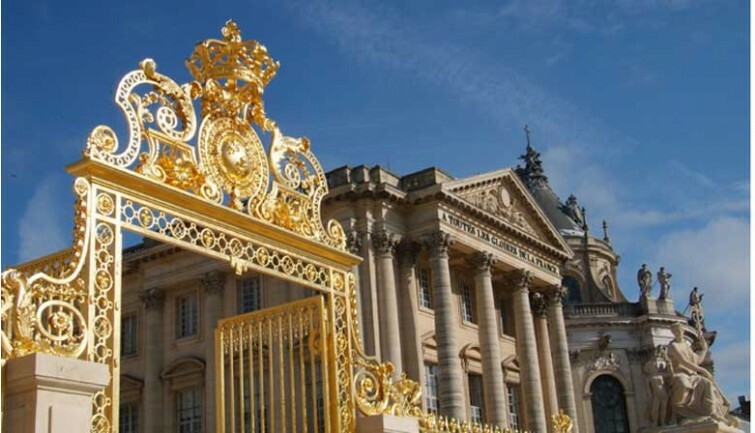 Then discover the majestic Palace of Versailles, royal residence of the Kings of France, Louis XIV, Louis XV and Louis XVI and their courts from 1682 to 1789. 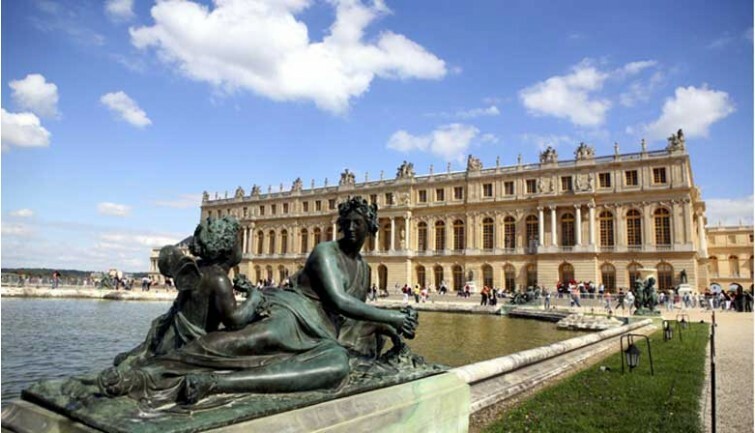 Accompanied by your guide, learn about its history and imposing architecture on a tour that includes the famous Hall of Mirrors. 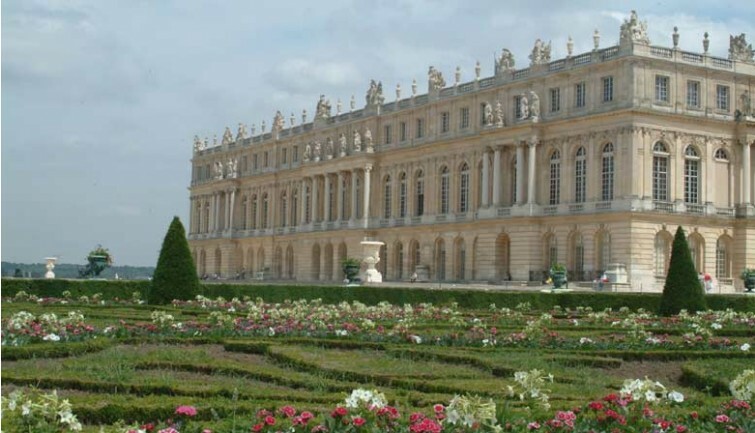 Finally, take advantage of the opportunity to delight in Versailles’s captivating French-style gardens. Set off at 8:15 a.m. from our agency in Central Paris. The journey to Giverny by luxury air-conditioned coach will take approximately one hour and 30 minutes. Soak up the world of the painter, Claude Monet, famous for painting different corners of his garden, such as the “Water Lilies” or the “Japanese Bridge.” The painter Claude Monet lived at Giverny with his wife and eight children for 43 years, from 1883 until his death in 1926. 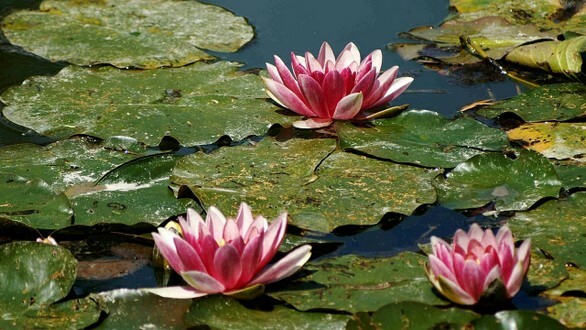 Passionate about gardening and nature’s changing colors, he designed his flower and water gardens as if they were works of art. During your visit of Monet’s garden at Giverny, admire the multicolored flower beds, the Clos Normand Flower Garden with its many Eastern plants, and the lush water garden, famous for its water lilies and Japanese bridge. 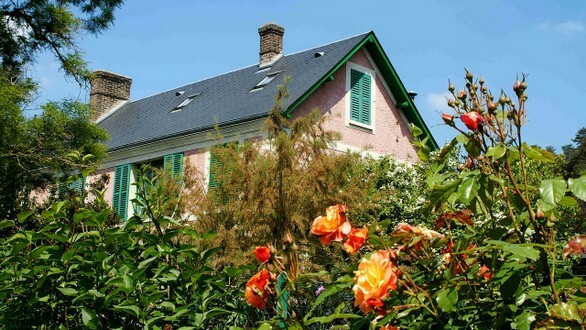 Then take advantage of your free time to visit Claude Monet’s pink-plastered house, where he lived and worked (guided tours of the interior are not permitted due to the lack of space). Explore the reading room, leading into the larder and the artist’s studio. In addition to those of his private apartments, these rooms have been reconstructed with Monet’s original furniture. Visit the bright yellow dining room, which has been reconstructed down to the very last detail, with earthenware dishes and a blue-tiled kitchen. In the dining room, marvel at one of the world’s most important collections of Japanese prints. At the end of your visit, explore the village and treat yourself to some souvenir shopping in the gift and book shop, which was once used as a studio for Monet’s Water Lilies; it offers a wide range of products inspired by the artist’s work. Includes a delicious country lunch in a rural setting. Explore the Gardens of Versailles, designed by André Le Nôtre, at your own pace.